Remember the other day when we told you that Amazon had tripled the number of apps available from its appstore over the last year? Now, all 240,000 apps are going to be available to BlackBerry users with this fall's lineup of new BlackBerry 10 handsets. Popular Android apps such as Instagram, Netflix and Candy Crush Saga would be accessible to BlackBerry 10 users. All the fun begins for users of BlackBerry 10 flavored handsets once they receive the BlackBerry 10.3 update this fall. While BlackBerry CEO John Chen still dreams about keeping the BlackBerry name relevant for consumers, it is in the enterprise and in governmental agencies where the company stands out. Allowing all 240,0000 apps from the Amazon Appstore to run on BlackBerry 10.3 would give BlackBerry users a large number of consumer-oriented apps to use. Enterprise users, and those working for the government, will be able to find a number of productivity apps that might be of interest to them. I respectfully disagree. Amazon is not looking to buy BlackBerry and John Chen is not looking to sell the company. What I do think that this means is John Chen really wants to focus on the enterprise market. This is not a shocker, as he himself has mentioned this numerous times. John Chen wants enterprise developers to build enterprise apps for BlackBerry world. He wants Amazon to handle the consumer side of things FOR BlackBerry, as far as apps and media goes. He is even offering an incentive for developers who have made Android ports for BlackBerry to port those apps over to the Amazon App Store. This makes good business sense, seeing as how JC can now have his team focus on BlackBerry's bread and butter, which is enterprise. Amazon can spend the money to build consumer apps. All the heavy lifting for BlackBerry regarding consumer apps and media is now shifted elsewhere. This also whitles down the "dreaded app gap", and Amazon will no doubt receive a residual cut of profits from BlackBerry. It's a win-win for both parties involved. This could help bring more people into the BlackBerry fold, being that BlackBerry will now have access to all or most of the "must have" apps. FYI: Amazon's App Store can already be loaded onto BlackBerry 10 devices OTA. I already have it loaded on my Q10. Exactly this. Chen is very serious about the Enterprise market, and this differentiation between apps for consumers coming through Amazon and apps for Enterprise coming through BB World gives a lot more leverage to the app makers who no longer need to concern themselves with porting their work. This makes me eager for the next gen of BB10 devices to arrive. Don't BB already have access to Google play store? This is just another feather in their cap, a bonus indeed. Seems like a sound strategy, just to roll it forward faster. BB doesn't have access to the play store. They run Android apps from any other store or sources. This is one of the post that i agree with you. amazon IS NOT looking to buy blackberry. They know owning a bb will make them collapse. they just looking to get the (small - a couple of million handset, compared to 1 billion android handset) revenue of bb 10 owner from apps in which bb has give up. Do you know how ridiculous you sound? Even others on BlackBerry articles have mentioned how ridiculous you sound. If Amazon were to own BlackBerry it wouldn't make them collapse, it would enhance them. It also means that bb give up on getting revenue & control over apps income. This is a sign that bb store were collapsing. NO, it doesn't. 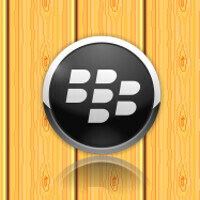 It means that John Chen wants the NATIVE BlackBerry app store to focus on ENTERPRISE AND PRODUCTIVITY APPS. He even SAID SO. LEARN TO READ ENGLISH AND STOP WITH THE LIES ALREADY. It's getting really old now. This was long due, but better late than never. Now both the app stores combined there is around 370,000 apps. Crossing the number identical apps, lets say 70,000, 300,000 apps sounds very good to me. Trolls do what you do best!! Let trolling begin! Yes, let's see how the trolls turn this POSITIVE for BlackBerry into a NEGATIVE. They have been doing it to the 300k+ apps wp has. Just this time, BB is getting help from a pre-established store front. It is very unfortunate how people go blindly and talk trash about things they don't know and never used. combined apps? lol... the apps in bb 10 store is crap. there is no combined number, there's only 1 number, the amazon apps number. Troll number one speaks!! And as usual, with nothing substantial to say, never backing up his diatribe with links or facts. Just spewing nonsense, as usual. Lmao! Yes! Glad he's not here running his mouth! I for one am really tired of reading your repeated comments, just wondering how long will it take for you to get tired yourself? I mean for the last one year at least you have been copy pasting yourself over and over again. I have to give it you are almost as persistent as BlackBerry. They are not dying and you are not giving up of trolling..
Clearly what you are saying is the furthest thing from the truth. BlackBerry has been getting better ever since John Chen took over. If you don't like BlackBerry, so be it. But don't subject the rest of us to your unsubstantiated crap. You can't even back up what you say with FACTS, just COPY AND PASTE the same old tired comments on EVERY BlackBerry article over and over again, as tatail has pointed out. Give it a rest already. You're BORING. They don't need a miracle. They are getting better. Stop trolling and get a life. So you are saying you are nobody? Don't be so hard on yourself. At least in my eyes you are somebody even you troll my favourite BlackBerry, but that is okay. correction... nobody CARES about them anymore.... only a couple of crackberry owner.